Francesco Kiais | Presentation at the Athens Biennale AB5to6 "Omonoia"
In May, Contemporary Art Showcase Athens had the honor of collaborating with Francesco Kiais, member of the curatorial board of the Venice Performance Art Week; Francesco's talk "ABOUT LOVE " was presented at the Bagkeion as part of the C.A.S.A. 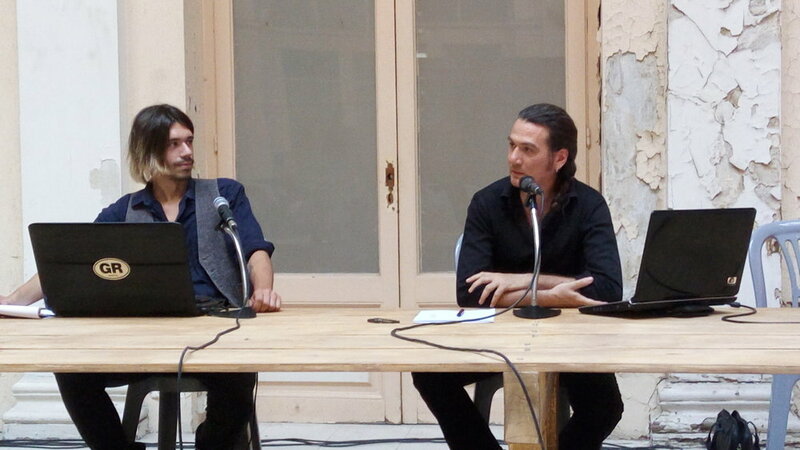 program for Athens Biennale AB5to6 "OMONOIA". Francesco Kiàis is an artist, an independent art writer and curator. He is a member of the curatorial board of the VENICE INTERNATIONAL PERFOMANCE ART WEEK and collaborates with different educational programs, both as a theoretician and as an artist. He recently created and co-founded a platform based in Athens and dedicated to performance art, the [MIND THE] G.A.P. - Gathering Around Performance. Incarnation, today, does not mean to embody something abstract and "other" from us, but rather, give back a body to ourselves, re-signifying our presence, and contribute in giving a sense to the social environment that surrounds us. ABOUT LOVE #3 is a look through history, exploring the presence of the body as a vital form of political statement, ethics and poetics of existence / resistance of the individual in society.According to what Pasolini says, the body is a territory not yet colonized by the "power" From this concept of inviolable "locality" of corporeal dentity, we can reverse the generally accepted viewpoint of a globalizing look on geopolitical, economic, and cultural panorama of the world. Only giving space to what is moving at the periphery of the North, and of its hegemonic expansion, will create the conditions for alternative models of cultural, political, and economic identity. Francesco Kiais presented his talk at the Bagkeion on May 27, 2016.